La Spiga is renowned for its authentic, northern Italian cuisine, a gastronomic tribute to Italy's Emilia-Romagna region. La Spiga's chef and co-founder, Sabrina Tinsley, crafts the Romagnola cuisine to make it genuine, yet uniquely her own. Menus are changed seasonally to reflect the authenticity of the food while using the very finest Italian ingredients and what is freshest in local markets. Osteria la Spiga is named for "la spiga di grano" (a shaft of wheat), the symbol of fertility, harvest and good fortune. It is also the essential ingredient in the pasta and quintessential Romagna peasant bread made daily on the premises. This piadina flatbread is served warm and luscious - crisp on the outside and soft on the inside, it warrants a visit in itself. 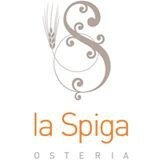 La Spiga was founded in 1998. After eight successful years in a smaller space, the osteria moved in to the historic Piston and Ring building, built in 1926, on Seattle's Capitol Hill. The space was brought back to life by skilled craftspeople. Its artful design succeeds in being both minimalist and inviting…cool enough for a date and warm enough to bring the family. Features include a loft-like mezzanine, loads of wooden beams, and a massive bar (which, by the way, is backed by an impressive wine collection). The atmosphere and cuisine at la Spiga attract locals and families, business people and artists, and, on many nights, a celebrity or two. When the weather is fine, dining al fresco on the patio is another pleasurable experience. We welcome you to come and enjoy the magic that is la Spiga.